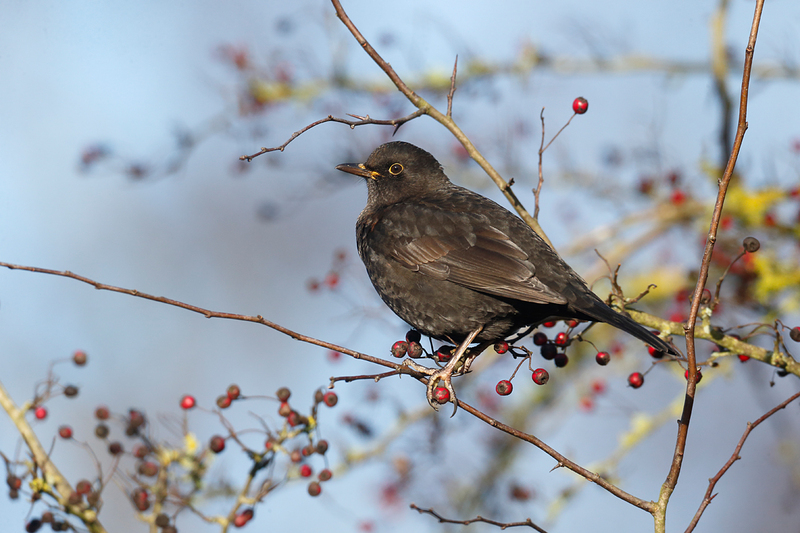 Winter thrushes on red berries is a much more difficult shot to get than it first appears, but it is noticeable to me that I succeed more frequently close to Christmas than at any other point. 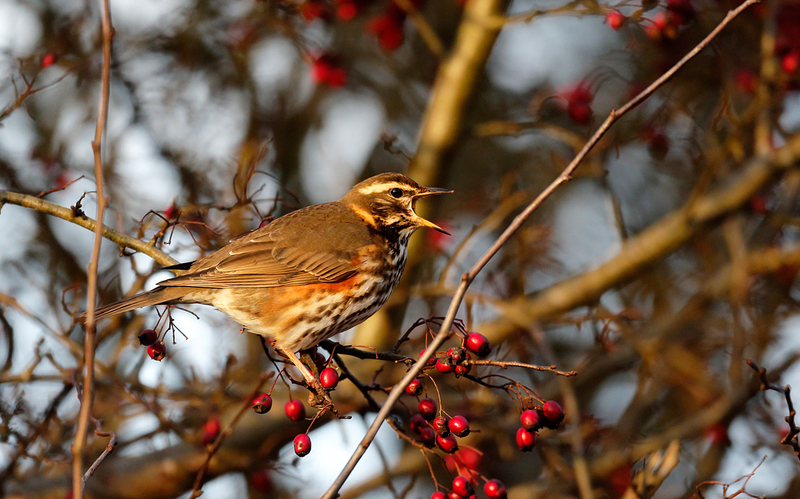 When they first arrive Redwings and Fieldfares are less approachable and have more choices on where to feed. 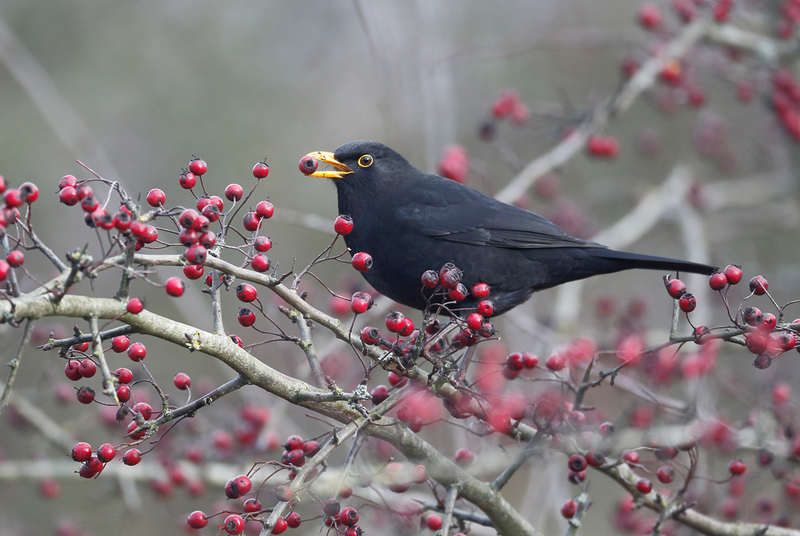 As the remaining number of berries dwindles they become bolder and tamer. 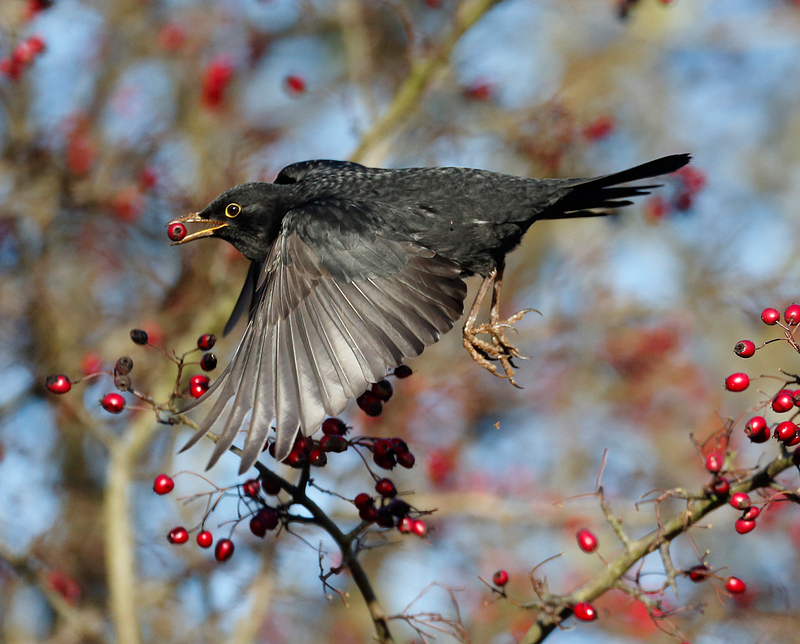 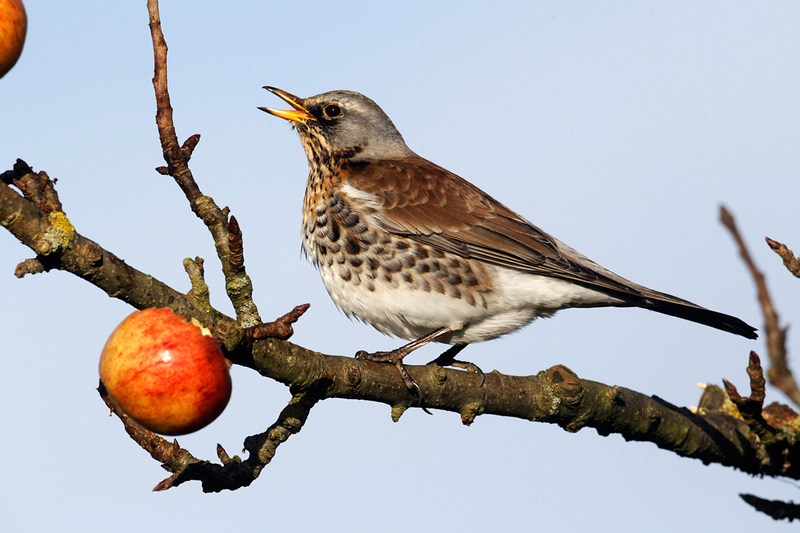 Nevertheless I have not got any pictures of Fieldfare on berries so far this year, so have posted one feeding on apples. 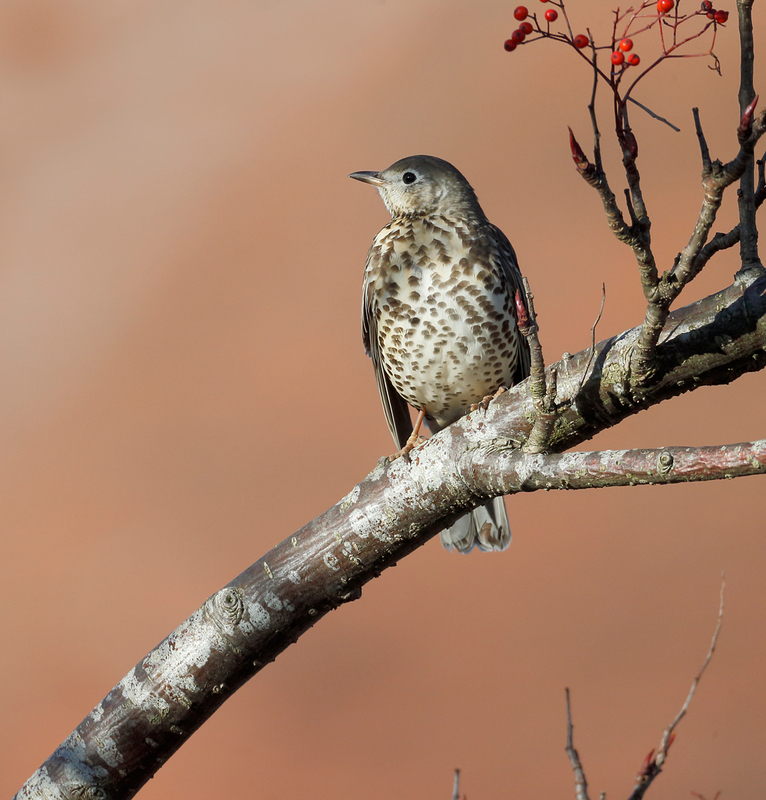 All with the Canon EOS 1dx and an 800mm lens from the car window.